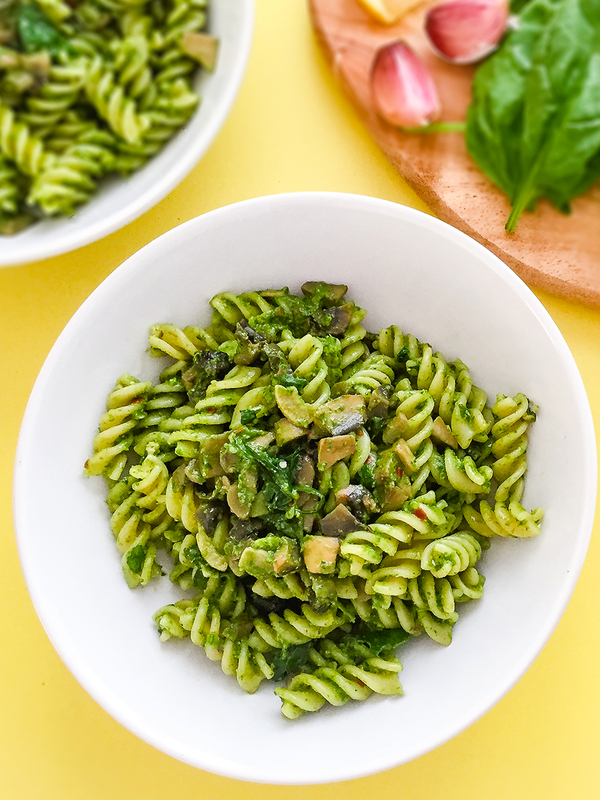 Basil pesto is a creamy sauce that belongs to the Italian culinary traditions and in particular, it originates in Genoa, the capital of Liguria’s region. 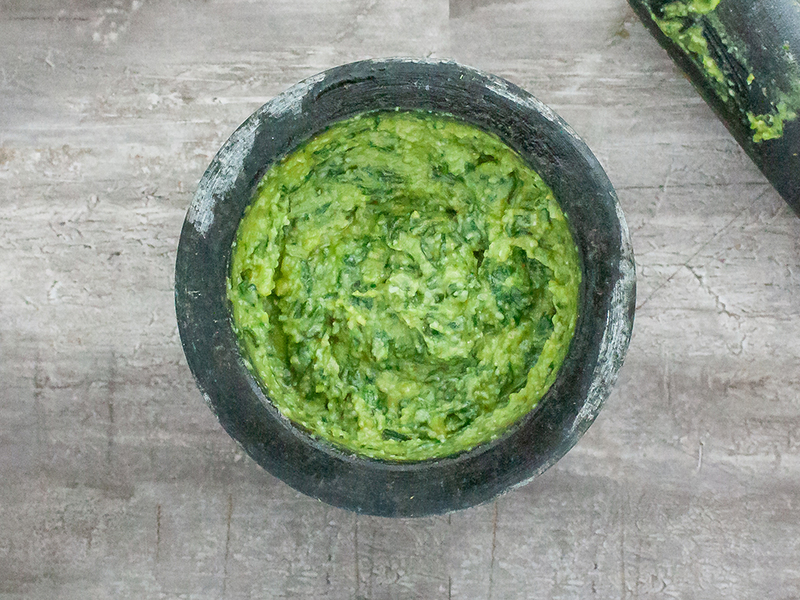 This delicious green paste is a versatile sauce good for many recipes besides the classic pasta with pesto. 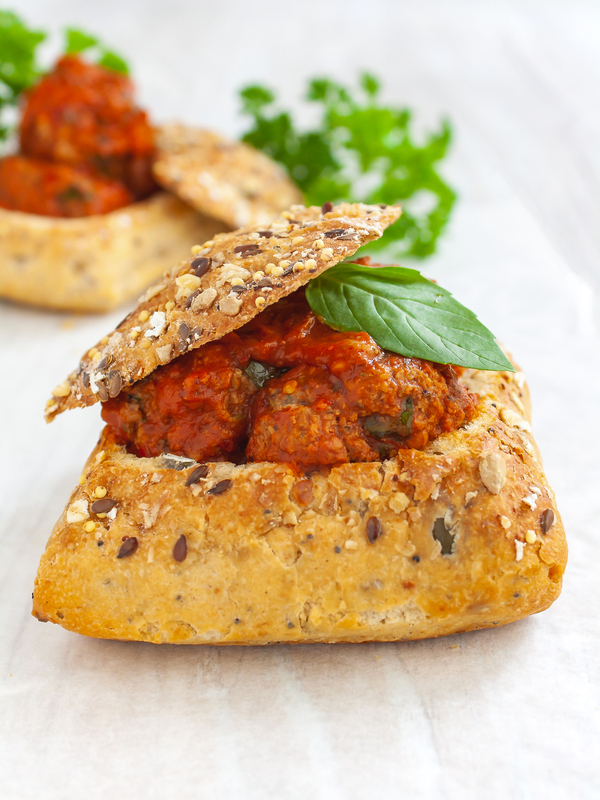 In fact, you can use it as a pizza topping, marinade for oven-baked fish, dressing for salads, filling for pastry pies and vegetarian lasagna. 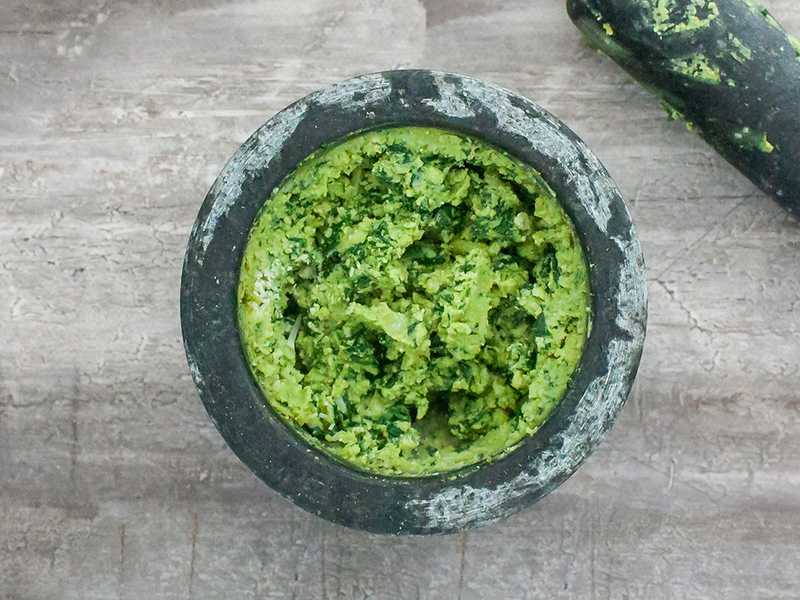 Pesto is also great for dipping or spooned in soups, couscous, and frittata 朗. 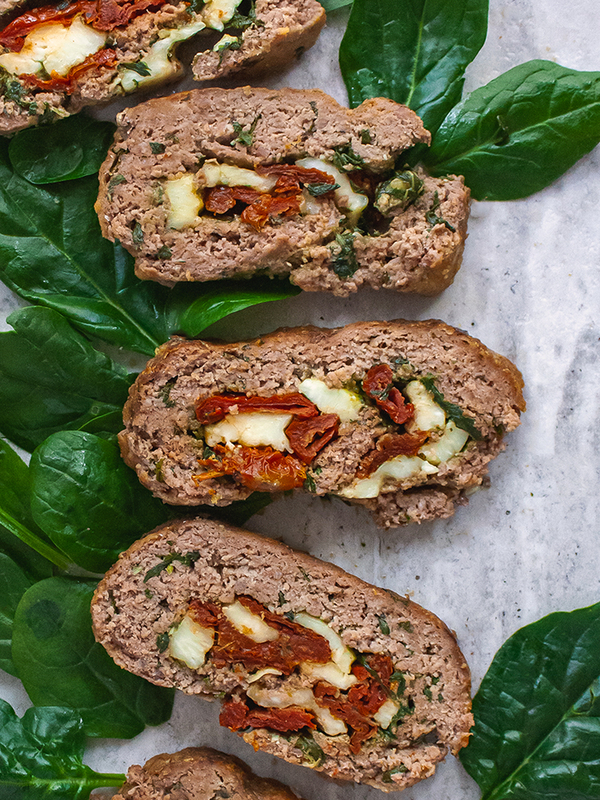 If you want to know how to make fresh Italian basil pesto, follow our easy step-by-step recipe. In no time you’ll have a homemade pesto cream sauce which is so much better than the store-bought one in taste, quality, and freshness. The quality of the pesto ingredients is the secret for a perfect sauce. In fact, make sure you use only the freshest basil leaves, which should be dry and not broken. Then, the oil must be extra virgin olive oil, possibly a sweet one to balance the tangy garlic. Finally, use only well-matured parmesan and pecorino cheese and fresh pine nuts, not the roasted ones. 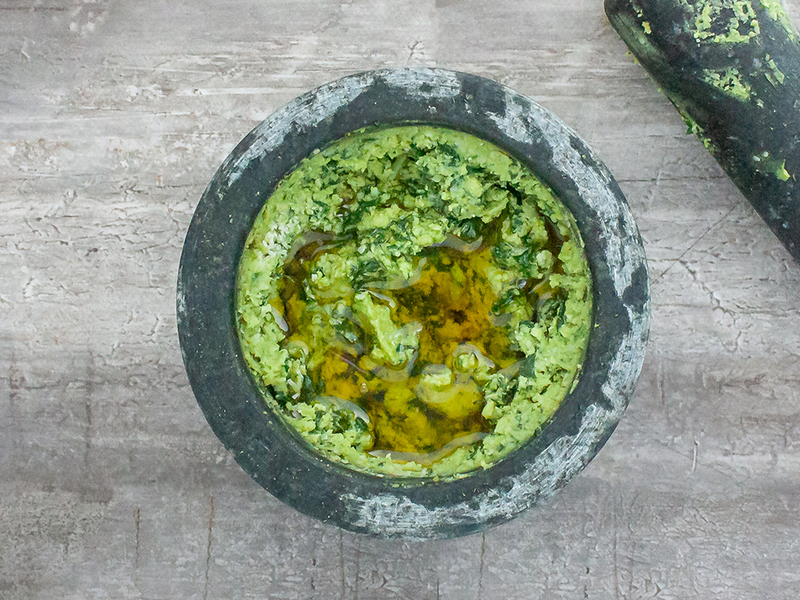 One of the challenges of making the perfect pesto is to keep the pesto from turning brown. This happens when the leaves are exposed to the air for too long which causes them to oxidize giving you a bitter and dark sauce. Work the ingredients as fast as possible. Add a pinch of coarse salt. Use a mortar and pestle and not a food processor. To store your basil pesto, keep it in an airtight container for up to three days or freeze it in small pots. It comes really handy to have a stock of this sauce ready for any recipe 酪. 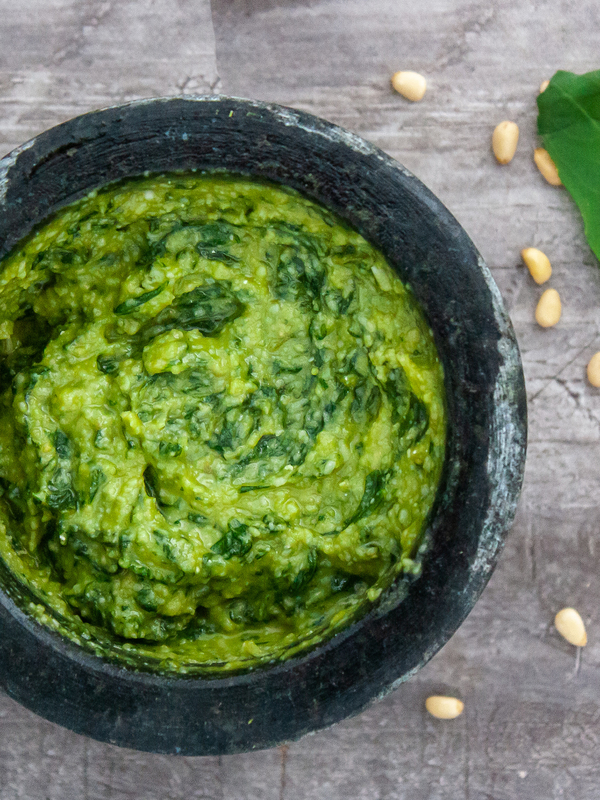 To prepare this authentic pesto Genovese recipe, start with the pine nuts as they will grind more easily when dry. 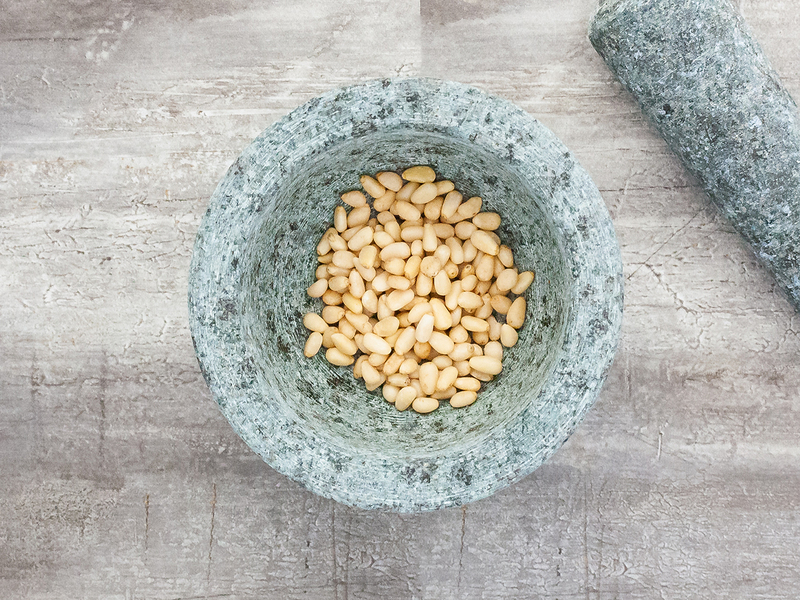 Place the pine nuts in the mortar and twist the pestle against them so that they are ground against the bottom and sides of the bowl (1). It is ideal to have a coarse mortar, as it will grind the ingredients more easily, like a granite mortar. Continue to do so until the pine nuts are reduced to a paste (2). Make sure you don’t wash the basil leaves to avoid breaking them. Instead gently pat them with a damp cloth to clean them. 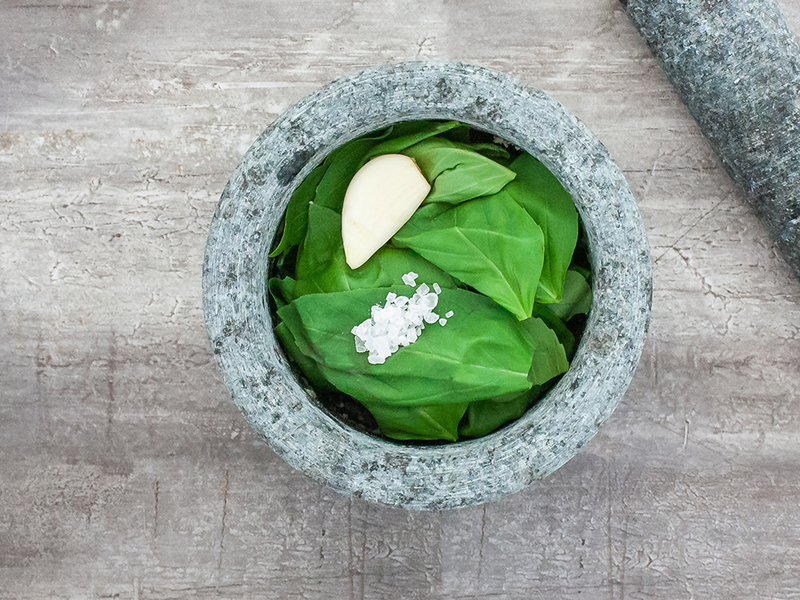 Add the fresh basil leaves, coarse salt and peeled garlic to the mortar (1). 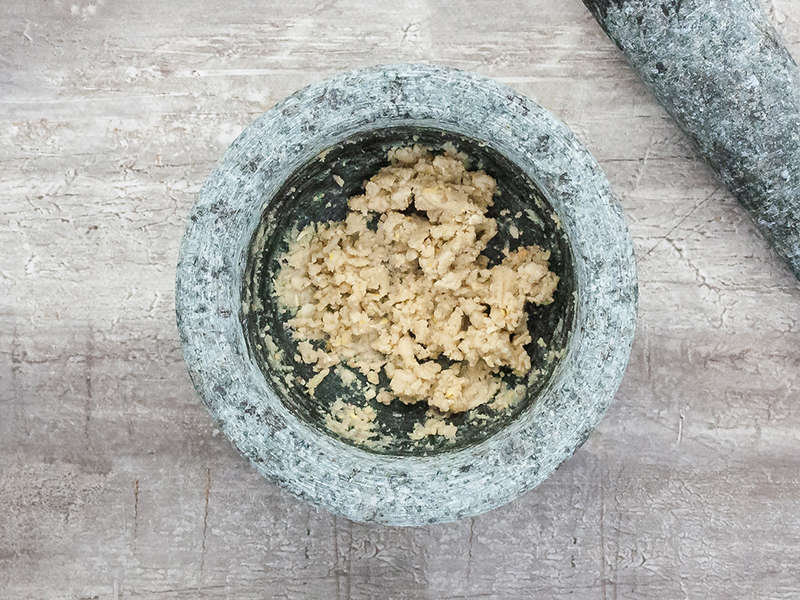 Now press the rounded end of the pestle down onto the ingredients and roll it against the mortar while applying firm pressure. 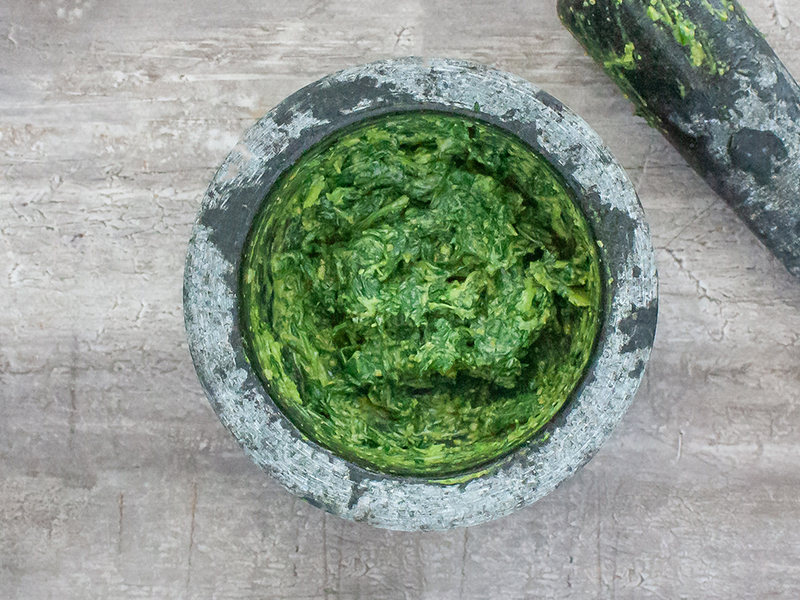 Coarse salt helps to grind the leaves and prevents their oxidation for a brighter pesto. Bash the basil until it has released its green juices and you have a paste (2). 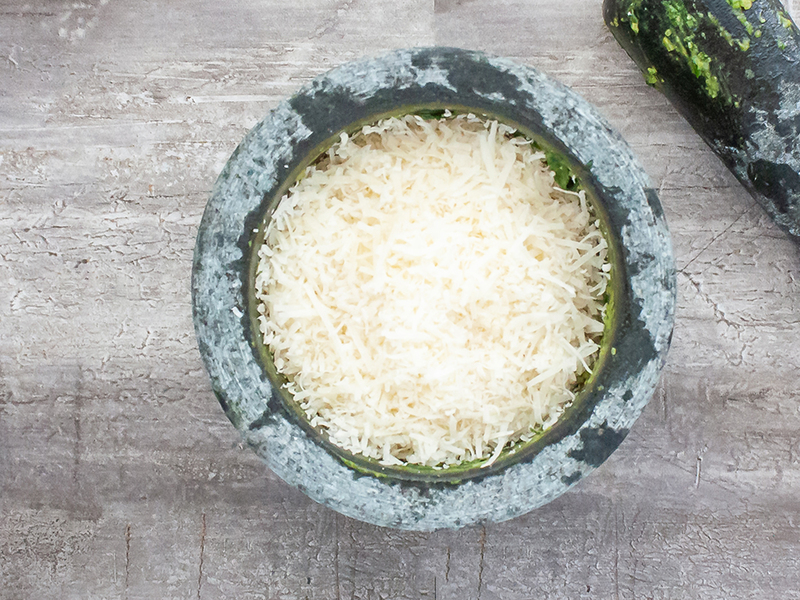 Next, grate parmesan and pecorino and stir them in a bit at a time while you pound with the pestle (1). Keep stirring and grinding until you get a creamy consistency (2). Finally, pour in the extra virgin olive oil (1) and use the pestle to gently stir until you have a uniform sauce (2). At this point, taste the pesto and, if needed, season with more salt or add more oil. Remember that pesto is used as a sauce for pasta and so it should be creamy but not runny. Your delicious homemade pesto is now ready! The best technique with the mortar and pestle is to twist the pestle right to left and at the same time turn the mortar in the opposite direction. This way, you tear rather than shear the basil leaves to release the essential oils of the herb. Although is not part of the original recipe, if you still notice that your pesto gets a brown tone, you may find that adding a few drops of lemon juice helps. Don&apos;t worry too much about the color though, it is normal for food to oxidize and it doesn&apos;t mean your pesto will not be good .